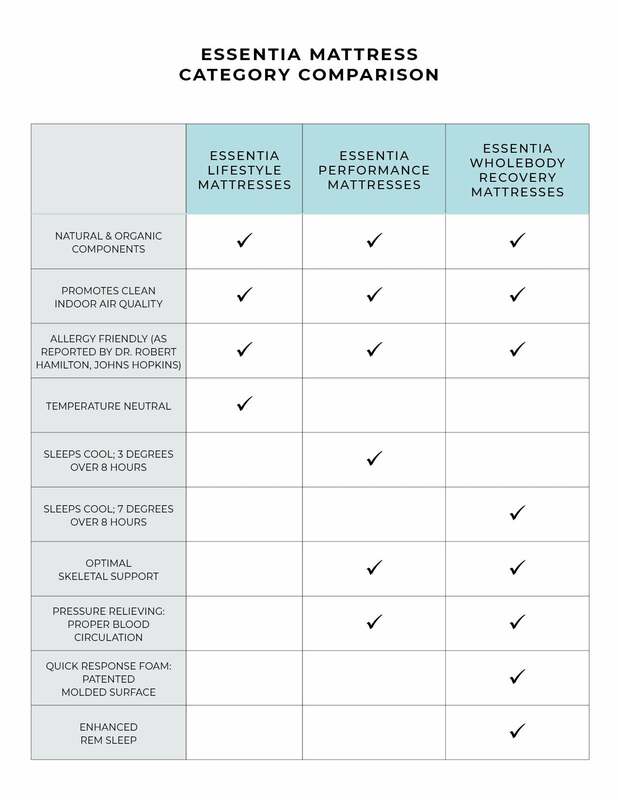 Therapeutic Natural Memory Foam Mattress | Essentia | Organic Essentia Mattress Inc. The deep contour option of the Performance category. You’ll experience pressure relief that will support your every curve for cloud like comfort and improved blood circulation. This is a natural material mattress like no other. Featuring Essentia’s patented natural memory foam, the Energie Opus offers a plush surface unlike anything you’ve ever experienced. Offering a deeper contour than the Classic 8, the Energie Opus ensures all over pressure relief especially at the shoulders and hips and is often preferred by those who have a pronounced spinal curve as the Energie eliminates any negative space between your body and the mattress. The firm natural support core ensures proper spinal alignment for more comfort and better pain recovery. The Energie Opus plush feel makes is a favorite for side sleepers.